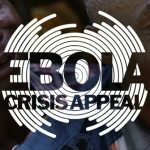 This weekend there will be collections around the Island for the Ebola crisis. We will be in Castletown, Douglas, Peel, Port Erin and Ramsey on Saturday 15th November; in Douglas and Port Erin on Friday 14th and in Port Erin on Sunday 16th. If you are free to help with the collection, please contact us. We will welcome your donations too – a real encouragement to our collectors.